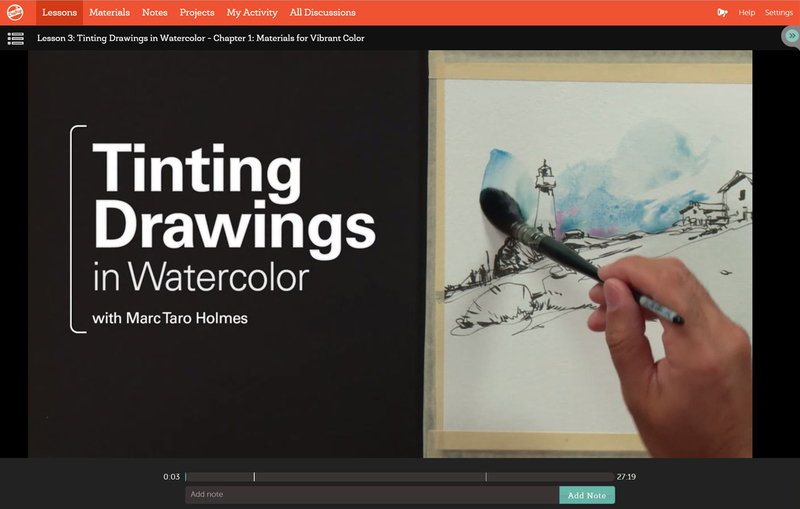 Announcing a new video lesson: Travel Sketching in Mixed Media! Hey everyone! I’m excited to announce my second video series with Craftys.com! Travel Sketching in Mixed Media is a followup to my 5 start reviewed course Sketching People in Motion. This time, the focus is on making sketchbook drawings and rapid watercolor sketches as you travel the world. My number one goal with the course, is to help you come come with sketchbook full of memories from your trip. Be it a family vacation, a day trip, or just taking a long lunch hour every Friday – my greatest reward is seeing people’s sketchbooks fill up with images. 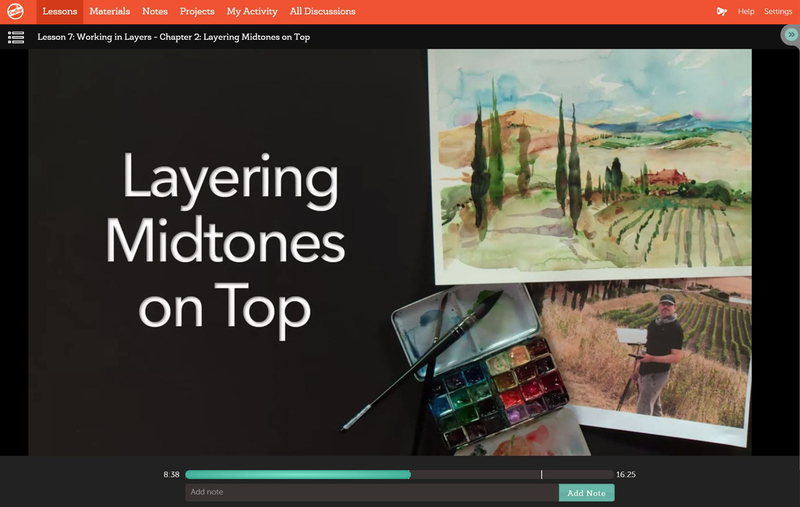 Or, click on over to the Instructional Videos page of the blog to find out more about Travel Sketching in MIxed Medial! You will find a special registration discount offered to anyone who joins via my blog. Brilliant! Very much looking forward to this course Marc. The last one was so helpful. Fabulous news about your new course, Marc. So looking forward to it! Yay!! Can’t wait to check this out. Keep up the great work!